A large tall front facing flower arrangement styled basket of flowers, including lilies, carnations and other blooms with rich green foliage. 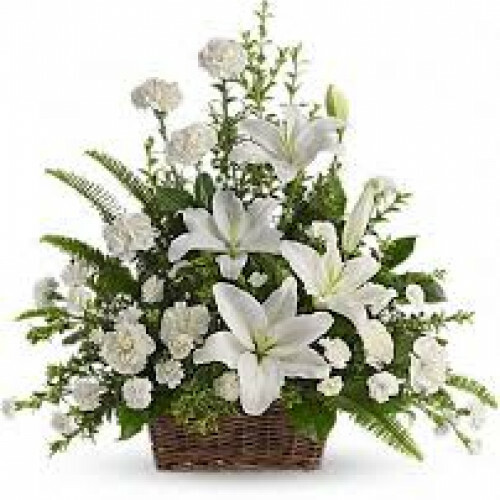 A nice sympathy tribute suitable for use at home or as a display in a funeral home. Available for delivery to all funeral homes in Galway. A small but pretty basket of blooms a real sweet gift..